Breakfast with President Donald Trump? 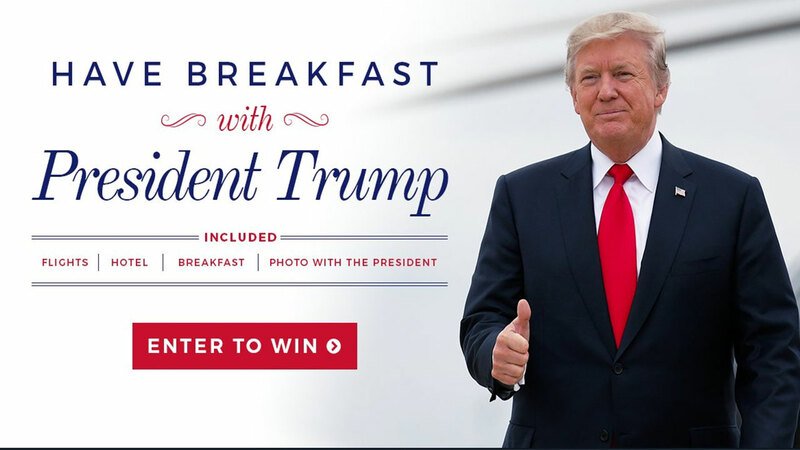 How would you feel about winning breakfast with President Donald Trump? On Saturday, the GOP tweeted that anyone can enter for the chance to win that breakfast date. All you would have to do is sign up! Contestants are also given the chance to donate, the money would go to the Trump Make America Great Again Committee. The tweet also says that the winner would be flown to New York on a paid flight, have a free hotel stay, and breakfast with the president. The page said that donating does not increase the chances of winning.